Dansk is one of the hottest new rag trades on the market and is the ultimate guru for Danish fashion. For those of you who didn’t know Danish fashion existed, prepare yourselves. This is some seriously innovative fashion. Dansk is a luscious, luxurious trend publication stuffed full of news for hungry trendsetters and professional fashion leaders and fashionistas, and offers everything from photography, graphic design to journalism with polish and panache. 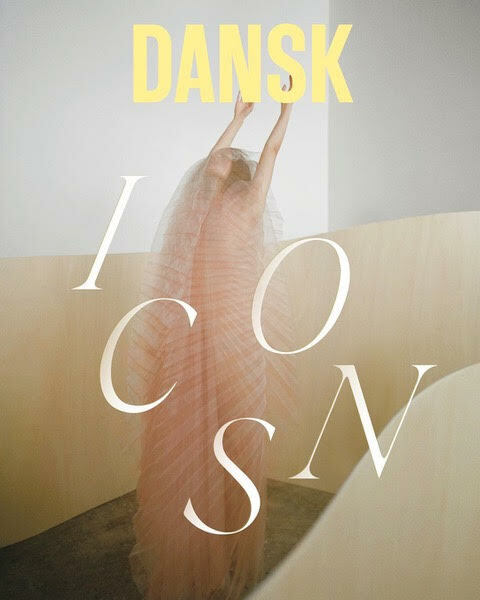 Dansk attracts an impressive mix of internationally renowned photographers, stylists and make up artists who work with the most celebrated models out there, resulting in a mag that is impressive in quality and content. A MAGAZINE is a biannual publication, exploring the creative sphere of a selected designer in each issue. We invite a guest curator- an international fashion designer, group or house- to develop…..